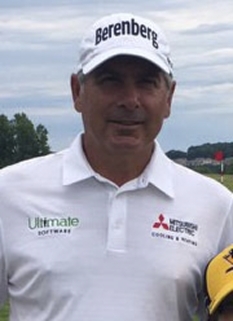 Golf pro, Fred Couples, was born on October 3, 1959 in Seattle, Washington. Couples has won numerous events, and is most famous for winning the 1992 Masters Tournament. Because of his long drives, he was given the nickname "Boom Boom." Couples was a co-designer of Lost Canyon Golf Course in Simi Valley, California. He can be regularly found practicing at Lost Canyons on days when he has missed the cut or during the weeks in between the off season and the Bob Hope Chrysler Classic in Palm Spring, California. Fred Couples first played golf on Seattle's public golf courses, including Jefferson Park, developing his signature loose, rhythmic swing in order to gain enough distance to keep up with the older kids. Couples attended O'Dea High School and later the University of Houston, where as a member of the Houston Cougars men's golf team he roomed with Blaine McCallister, another future PGA Tour player, and future CBS television broadcaster Jim Nantz. His first PGA Tour victory came at the 1983 Kemper Open. 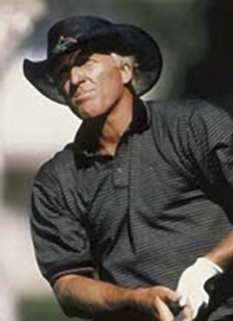 He has amassed 15 total PGA Tour victories, including the The Players Championship twice (in 1984 and 1996) and one major victory, The Masters Tournament in 1992. Couples has been named the PGA Tour Player of the Year twice, in 1991 and 1992. He also won the Vardon Trophy for lowest scoring average each of those years. 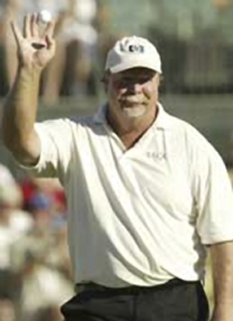 He has been named to the United States Ryder Cup team five times (1989, 1991, 1993, 1995 and 1997). 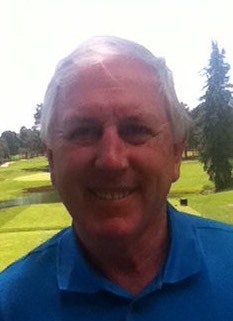 He is widely expected to be named captain of the 2010 U.S. Ryder Cup Team. In 1992, Fred Couples spent 16 weeks at the number one spot in the Official World Golf Rankings, after one of the hottest starts to a season by a PGA Tour player ever. 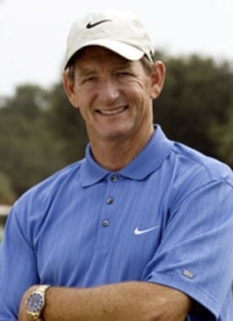 Starting with the Nissan Los Angeles Open (where he defeated Davis Love III in a playoff), Fred won two tournaments and finished second in two others (plus broke the course record at the TPC at Sawgrass with a third-round 63 in The Players Championship) in the five weeks leading up to The Masters. At Augusta, Couples carried over his momentum, shooting in the 60s in each of the first three rounds to hold second place heading into Sunday. After a shaky start to his final round that allowed 49-year-old Raymond Floyd to claim the lead, Fred took it back with 18- and 20-foot birdie putts at the 8th and 9th holes, respectively, then saved par on a slick 6-footer at 10. At 12 (perhaps the scariest par-3 in the world), Couples barely cleared Rae's Creek in front of the green, but his ball stuck in the rough instead of rolling backwards into the hazard. Sensing that destiny was on his side, Couples held off Floyd the rest of the way, completing Augusta's treacherous back nine with eight pars and one birdie to win his first Major. The win pushed Couples past the $1 million mark in earnings on the season as well, by far the fastest any player had reached that plateau. Couples' swing features an extreme shoulder turn at the top, which, combined with the fact that he keeps his left foot flat on the ground throughout the backswing, puts a lot of pressure on his lower back. However, with an abbreviated schedule and a little help from swing coach Butch Harmon, Couples is still one of the best players on Tour. In 2003, at age 44, Couples finished 34th on the PGA Tour money list. That year he also won the Shell Houston Open, his first win in five years; Couples wept with joy after the win, but quickly explained the tears: "I'm always emotional when nice things happen to nice people," he quipped. In April 2006, Couples challenged at Augusta, making a Sunday run at what would have been his second green jacket before finally bowing out to eventual winner Phil Mickelson, with whom he was paired in the final round. Had Couples won, he would have been the oldest player ever to win the Masters at 46 years, 6 months, and 6 days old -- supplanting Jack Nicklaus, who, coincidentally, won his final Masters 20 years earlier and also at the age of 46. His competitiveness in the tournament was an encouraging sign for his career. "I didn't hit the ball like I was 46," Couples said. Couples was sidelined for virtually the entire 2007 PGA Tour season because of back problems. However, he did compete in the 2007 Masters, making the cut for the 23rd consecutive time, tying the record held by Gary Player. Couples missed the cut in 2008. 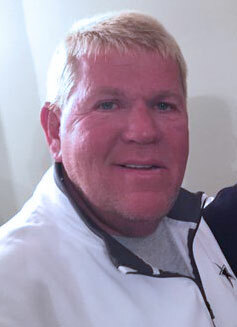 Couples was named as 2009 Presidents Cup captain for the United States team on February 26, 2008. Fred Couples currently resides in Palm Springs, California. DISCLAIMER: PFP Sports Talent Agency does not claim to represent itself as the exclusive agent for Fred Couples. PFP Sports Talent Agency is a booking agency that represents organizations seeking to hire pro athletes and sports personalities such as Fred Couples for speaking engagements, personal appearances, product endorsements and corporate entertainment. Fees on this website are estimates and are intended only as a guideline. Exact fees are determined by a number of factors, including the location of event, the talent’s schedule, requested duties and supply and demand. PFP Sports Talent Agency makes no guarantees to the accuracy of information found on this website and does not warrant that any information or representations contained on this website will be accurate or free from errors. We are often asked how can I find out who is Fred Couples's agent? To find Fred Couples appearance fees and booking agent details, you can contact the agent, representative or manager through PFP Sports Talent Agency for speaking fee costs and availability. PFP Sports Talent Agency can help your company choose the ideal sports personality for your next marketing campaign. To hire Fred Couples for an appearance, speaking event or endorsement, contact Fred Couples's booking agent for more information.